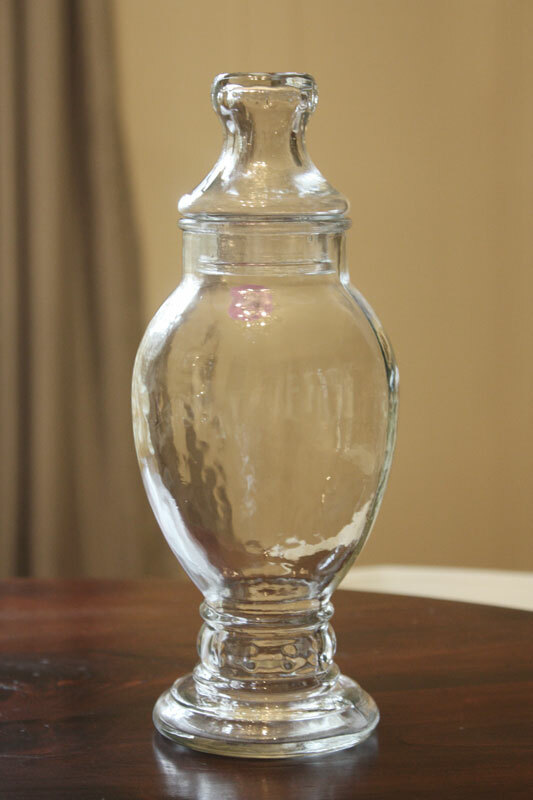 Apothecary jar with rippled glass. 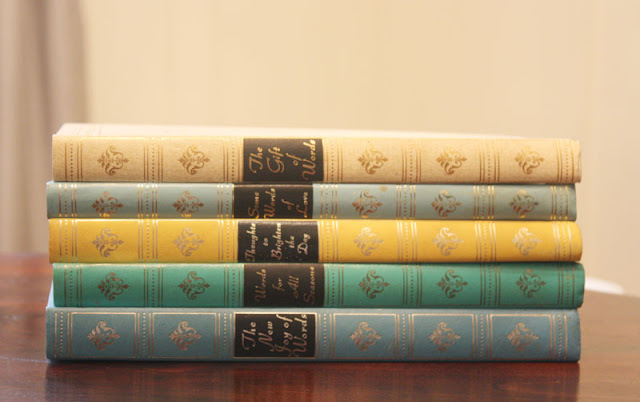 Vintage books. I love the colors. 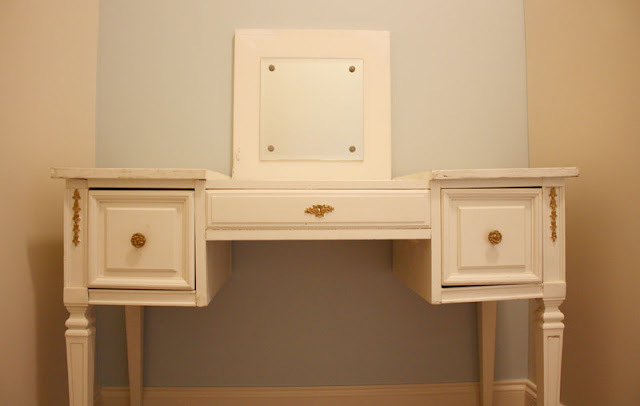 A dressing table. I've been looking for something to go in this nook in one of our guest bedrooms, and this fits perfectly. It just needs a little cleaning up. Not bad for $12. $12??!!!! Wow!! It fits perfectly! WOW what a deal on the table!!!! I love it! Look at that dressing table!!! And for only $12!!! That is awesome! I love it!! Love the books! I too have been looking for a table like that! Awesome! 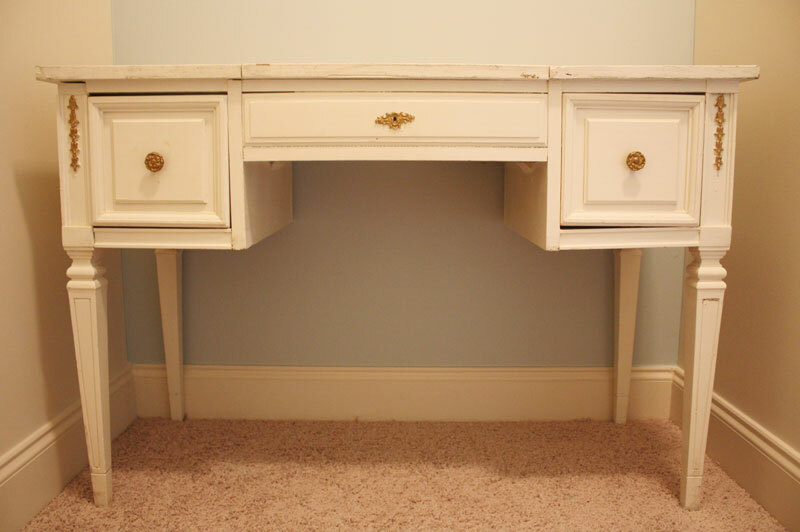 That dressing table is just perfect. My gosh it was such a deal. I'm in love with every single one of these items! That dressing table is amazing and I'm so jealous you scored such a deal. I've been looking for so long right now for the perfect dresser at the perfect price and I'm having no luck . . . Good job on your pretty things! Great finds! I love the books too. You should come over to my blog and see what I found this weekend. I love great deals! Awesome scores! Love everything. 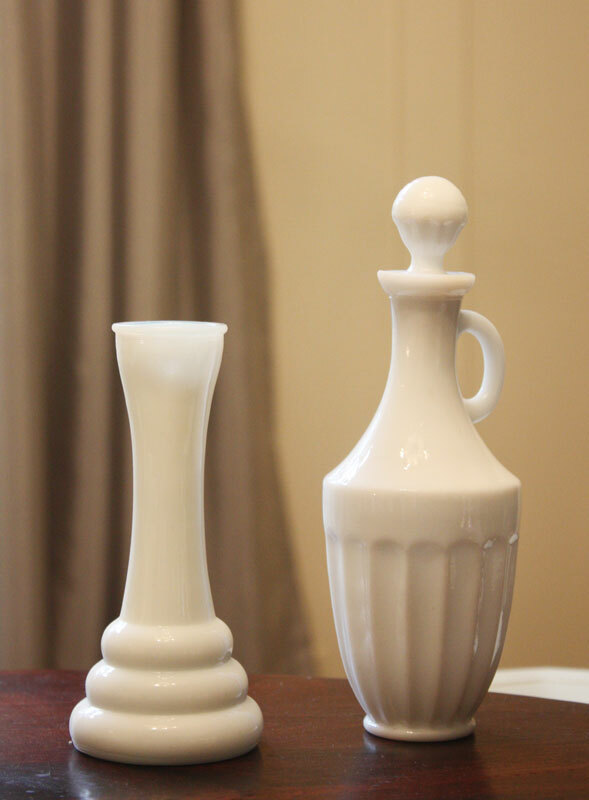 Those books are gorgeous, I've never seen milk glass pieces like those, and that table is AMAZING. What wonderful finds. $12? I'm so jealous! !